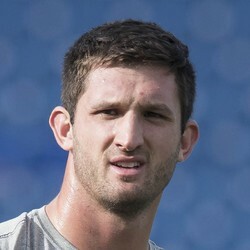 Nathan Peterman is signing with the Raiders, according to Michael Gehlken. Peterman has had one of the most disastrous young careers for a quarterback in recent memory, so Jon Gruden signing him makes perfect sense. It's unclear if Peterman will be anything other than a backup for Derek Carr for the remainder of the year, but to the extent he does get in a game, bump up your projections for the opposing D/ST.